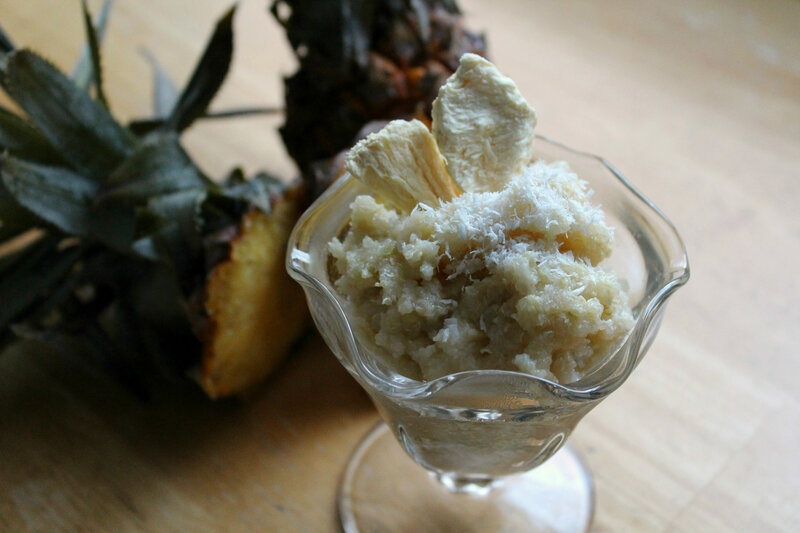 Thank you for I am so glad you shared your amazing aloha quinoa flakes recipe with us at the Healthy Happy Green and Natural Party Blog Hop! I appreciate it! 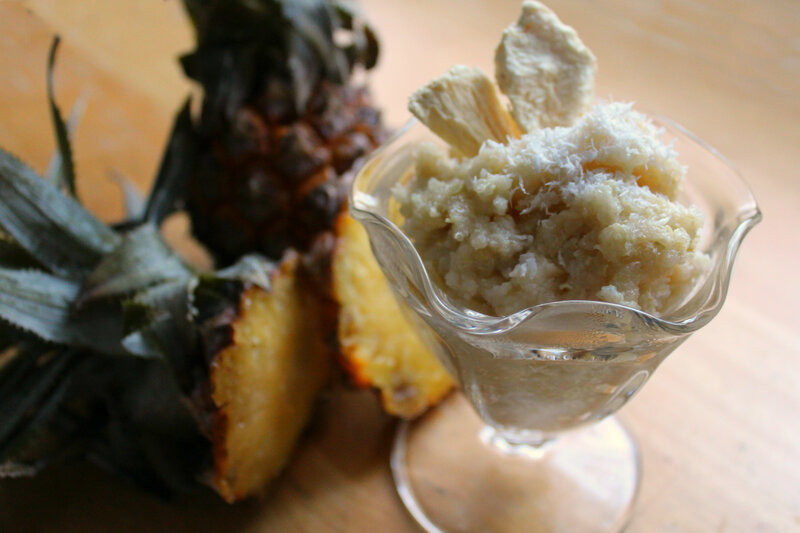 Thank you for transporting us to a tropical paradise with your creative spin on quinoa: Aloha! Quinoa Flakes. I have spent a lot of time in the Caribbean on vacations and on cruises to hot, tropical places, and this delightful dish will fit right in. Plus it is far healthier than most tropical desserts. I am so glad you shared this with us at the Plant-Based Potluck Party Blog Hop! I appreciate it! Ah, so jealous! This is the perfect breakfast to keep you looking and feeling good for those tropical vacations! This looks delicious. Never heard of quinoa flakes. Where do you buy these? They should be right in your grocery where ever they have the organic/natural aisle! Or just buy them. Online at Vitacost or iHerb! 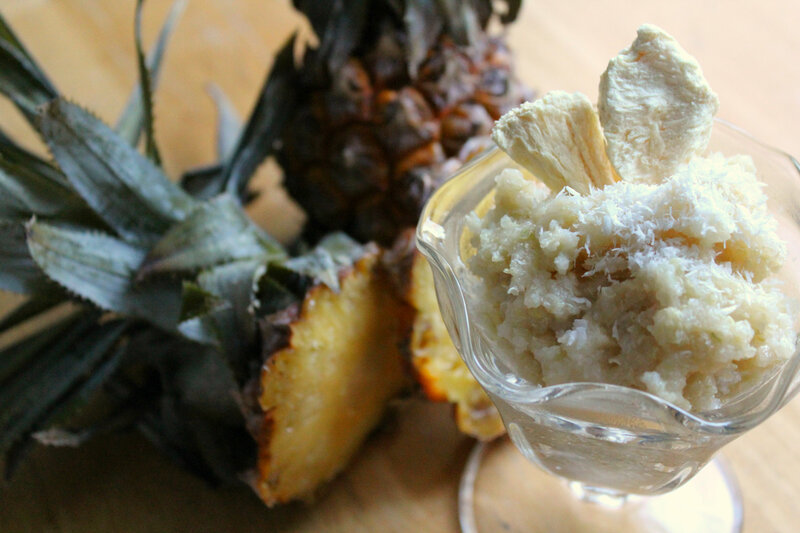 Pineapple is so delish! Thanks Emily! Nice! I grew up in Puerto Rico, so I’ve had my share of pina coladas. 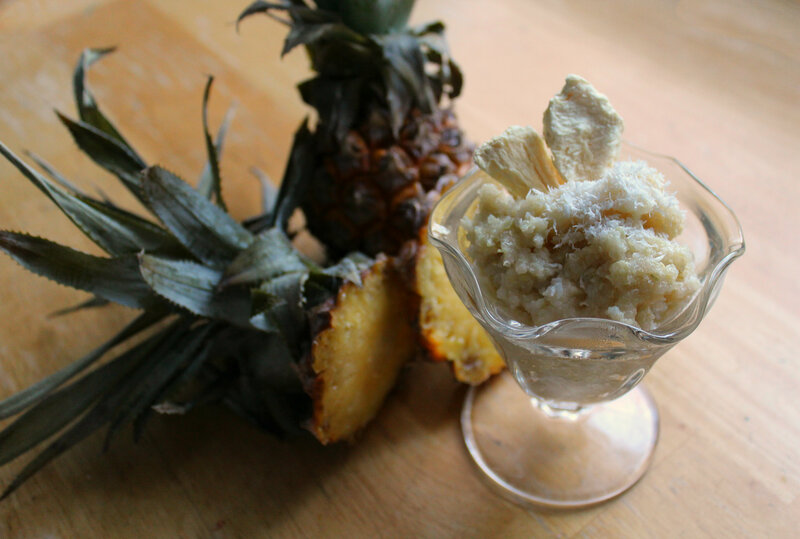 I’ve even made pina colada ice cream at some point! This seems like it’s worth making at home. Haha this is totally a breakfast, but I don’t see why you can’t have it for dessert too! Sounds delicious && now I want to go back to either Hawaii or Greece!! Yum, yum, yum! These look so good! We’ve travelled to Bali and many of Australia’s beachy holiday destinations – but I’m desperate to go to a “real” tropical island haha. O girl, you trip to Bali totally counts! I loved seeing all the beautiful pictures you had, haha! Oh my gosh that sounds so amazing! Yum! We are going to Hawaii this summer! It will be my first tropical trip! Lucky lucky girl! I am already jealous! Oh man am I missing Hawaii right now! Especially since it is pouring rain out right now…I really need to put those quinoa flakes in the back of my cupboard to use. It snowed a tiny bit this morning here….this weather is ridiculous! Yes! Put them to use right now! I love that it is single serving size! Haha, that’s how I cook pretty much everything!